This month (February), sepsis nurse specialists have planned a host of events and educational experiences across north Cumbria to build awareness and knowledge of sepsis amongst NHS staff, patients and visitors. Sepsis is a life threatening emergency that is caused by the body’s response to an infection that becomes systemic, injuring its own tissues and organs. If not recognised early and treated promptly, sepsis can lead to shock, multiple organ failure and even death. In cases of sepsis, every hour that treatment is delayed the chance of death increases. Every year there are 150,000 cases of sepsis, resulting in 44,000 deaths which is more than deaths from bowel, prostate and breast cancer combined. You’re also five times more likely to suffer from sepsis than a heart attack or stroke. 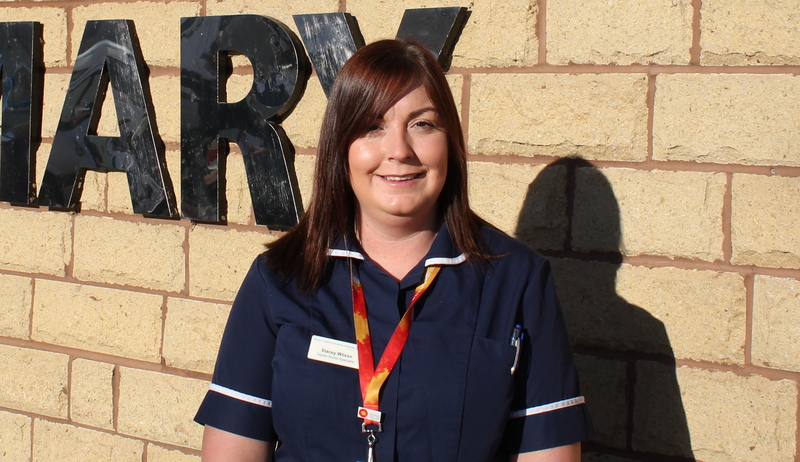 Donna Lewthwaite and Stacey Wilson, sepsis nurse specialists at North Cumbria University Hospitals NHS Trust will be travelling the county teaching and raising awareness of how to spot the signs of sepsis not just to clinical staff, but to members of the public too. GPs across the county are also taking part as all healthcare organisations across the area look to spread awareness and understanding of the signs and symptoms of sepsis. The team has a variety of events organised such as a trolley dash around the wards at West Cumberland Hospital in Whitehaven and the Cumberland Infirmary in Carlisle to visit as many staff as possible to highlight the sepsis message; public information stalls and even a film showing at the Kirkgate cinema in Cockermouth. The film they will be showing is called Starfish and is based on a true story which follows a family who are thrown into turmoil when one of them contracts sepsis. The film will be free to view for all NHS staff. As well as events in hospitals, the team will be hosting public display stands in Dunmail Park, Workington on Friday 22 February and the Lanes, Carlisle on Tuesday 26 February. Dr Jon Sturman, consultant anaesthetist who has an interest in sepsis, added: “As a Trust we are making huge efforts to improve the recognition and lifesaving management of sepsis patients. This includes investing in staff training, monitoring, improved communication and team working, early lifesaving treatments and provision of intensive care expertise where life support is needed. All of these components will improve sepsis outcomes. We are beginning to see improvements using this approach and that is to the credit of all front line staff”. “If in doubt, seek medical attention as soon as possible”.